On the last day of the 1996 Vancouver AIDS conference, Dr Martin Markowitz, a researcher from the Aaron Diamond AIDS Research Center, described the early results of a small clinical trial. Twelve young adult male patients who had recently been diagnosed were given a combination drug therapy containing AZT, 3TC and a new drug called a protease inhibitor. AZT and 3TC treated the early stages of the disease; the protease inhibitor was designed to block the multiplication of an enzyme critical to the spread of the virus in the body. Within nine months of receiving the new ‘triple cocktail’ treatment, HIV levels in 9 of the 12 men had fallen below detectable levels and their white cell counts had risen sharply. The triple cocktail was not a cure, but in time it changed AIDS from the leading cause of death of young adults to a manageable condition and its discovery was a turning point in the treatment of the global epidemic. This AIDS treatment story inspired the name of the early grade learning model, the Education Triple Cocktail, which rose out of global collaborations in funding and empirical research into how to ensure that all schoolchildren become successful learners, not only in South Africa, but across the Global South. University of Chicago economist, Stephen Raudenbush, argued that evidence-based instructional programmes could be used (like antiretroviral therapy regimens with AIDS) to fundamentally alter the patterns of instruction and resultant performance of primary education systems. My research over the past decade has focused on building such a rigorous knowledge base. The first study was a randomised control trial designed to re-test a promising Intermediate Phase (Grades 4-6) mathematics instructional programme. The results surprised us — while the learners in the treatment ‘workbook’ group of schools did better than those in the ‘control’ group who got a standard textbook, and both groups improved substantially on the endline test, the intervention costs were substantially higher than those for the standard textbook. In 2010 I was asked to prepare a provincial strategic plan for an early grade reading programme by the Gauteng Department of Education (GDE), also at Intermediate Phase. Over the next four years, we developed the Gauteng Primary Language and Mathematics Strategy (GPLMS). It was based on prescriptive lesson plans, the provision of quality learner materials, and face-to-face instructional coaching — the triple cocktail. I did qualitative case studies, examining how teachers talked about the prescriptive lesson plans and their experiences of working with instructional coaches in their classrooms, and asked questions about the new educational materials they used in the programme. The results were positive and promising. We suspected that our research on system-wide instructional reform was moving in the right direction. But we needed experimental evidence at varying ‘dosages’, implemented across a range of schools, delivered in a rural setting, with different school subjects and at different grades or phases. A system-wide remedial version of the GPLMS model was conducted in 2014 in the Pinetown district of the KwaZulu-Natal Department of Education at Intermediate Phase. The results showed that the intervention’s overall impact on learner performance was limited: it offered ‘too little, too late’, the intervention was too short and it was difficult for children to catch up on missed learning by the time they had reached Intermediate Phase. In 2015, the Early Grade Reading Study (EGRS), the most ambitious experimental research programme ever undertaken in South Africa, was initiated. It, and the later EGRS II (using English as a First Additional Language), confirmed that well-designed and well-executed rigorous research can be used to solve pressing education problems. Highly innovative qualitative research studies reveal two types of ‘instructional practices’ in early grade classrooms in South African schools. In most ‘no-fee’ township and rural schools where early grade teaching of reading is done in African languages, instruction is associated with rote learning. It often begins with the teaching of letter names and moves on to letter sounds, simple words and sentences. Reading books are introduced only in the second and third year of schooling, few are taken home and there are almost no opportunities for children to experience independent reading of children’s storybooks. Most of the actual reading activities involve chorus reading aloud, copying from the board and filling in worksheets. Children taught this way would do well in a test which asked them to repeat a word or sentence that has been spoken orally but they would struggle in a test of independent reading and meaning-making. The second instructional practice is predominant in former white, Indian and many coloured schools. It combines phonics, teaching high-frequency words using the ‘look and say method’, building fluency using decodable texts, graded readers and opportunities for independent reading. The readers are designed from simple to complex, to match the reading levels of individuals or groups in a classroom. Teachers in these schools use commercial phonics programmes and are familiar with the theory and techniques of teaching early grade literacy. They assess children regularly, assign them to reading groups, identify the most appropriate level of readers and monitor progress. Home-based support also plays a key role. Change at the instructional core is first about putting in place new routines or daily practices. In most cases, shifts in teacher beliefs and knowledge follow. The new instructional core must be understood as a set of learning activities and tasks that require teachers to take on new skills and new knowledge, and requires the provision of new and appropriate educational materials. The activities and tasks together constitute the instructional practice and together they improve academic performance. The educational materials should cover all aspects of literacy development: graded readers, phonics programmes, books for independent reading and workbooks for writing. In order to assist teachers in the change process, the educational materials need to be prescribed and supplied. Teachers beginning the change journey need just-in-time, lesson-specific training. Once on the journey, they also need to understand the big picture, the theory that sits behind the new instructional core. 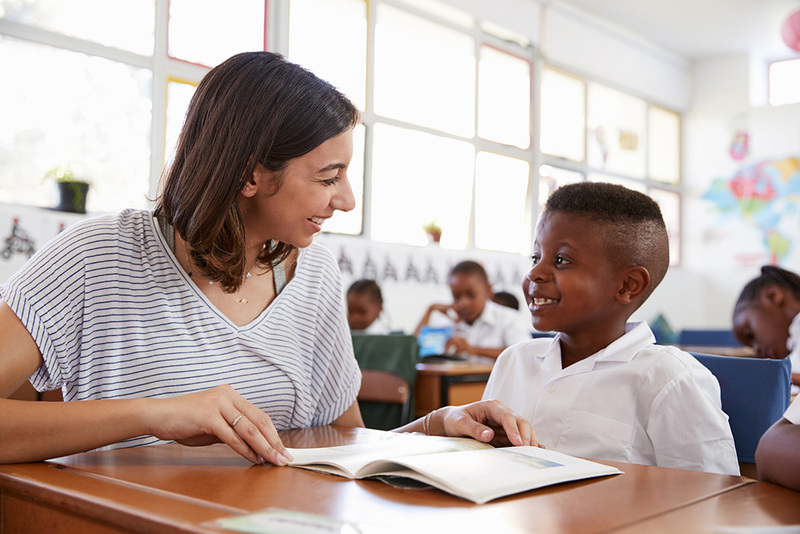 Teachers need one-on-one instructional coaching, to provide not only guidance and direction on the new practice but also emotional support as they adapt to the routines and rhythms of the new practice. School leadership (from heads of departments and principals) and district support and monitoring are critical for institutionalising and sustaining the new instructional core. Once the technical aspects are in place, secondary systems need to be activated. These include how schools work with parents; how educational materials are managed and budgeted for; how teachers assess individual learners; the tools for assessment and record-keeping; human-resource planning and class-size management. System managers need to recognise and plan for differentiated teacher responses to change at the instructional core, and plan strategies for early adopters, the compliant middle and the active resisters. The instructional core is dependent on teachers in the compliant middle institutionalising the new practice. The empirical evidence is that the new instructional practice and its three-part model, the Education Triple Cocktail, must be strongly based on academic knowledge and effective practices, and applied across the country. While it may be that the construction of the new instructional core is not a single event, it is central to the change process. This text is based on The Education Triple Cocktail: system-wide instructional reform in South Africa (UCT Press: 2018), by Brahm Fleisch. He is a Professor in the Division of Educational Leadership and Policy Studies at the School of Education, University of Witwatersrand, and a leading authority on education reform at elementary level.